There's an exclusive offer for Boughton's readers from stamp app provider Loyale. Help your business to grow by subscribing to the app, having your own branding in the app store and rewarding loyal customers. 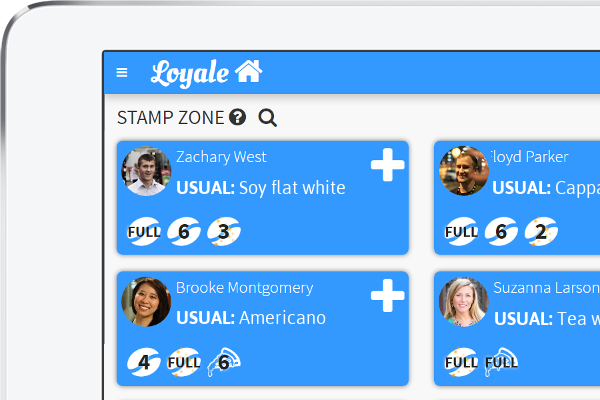 Loyale helps shops grow. In particular, shops with repeat customers that would typically have loyalty cards, eg: cafes, hair salons etc. Loyale provides a free loyalty stamp app to your shop with growth subscriptions to grow your business by up to 80% using smart marketing to increase visit frequency and spend of your customers. Have your own app with your shop name, logo and colours in iPhone and Android app stores, no need to compete with other businesses in the same app. Build loyal and long-lasting relationships with your new and existing customers by using a till app that displays your customer’s names, faces and ‘usual’ order as they walk into your shop; greet them by name and offer them their favourite drink! Bring your customers back by effortlessly promoting your events & offers via push notifications and email campaigns. The free plan will already save you printing costs by replacing your paper stamp cards; the customer app will simply let them collect loyalty stamps. Paid plans have no contract duration, are month-by-month and come with the till app and marketing platform.